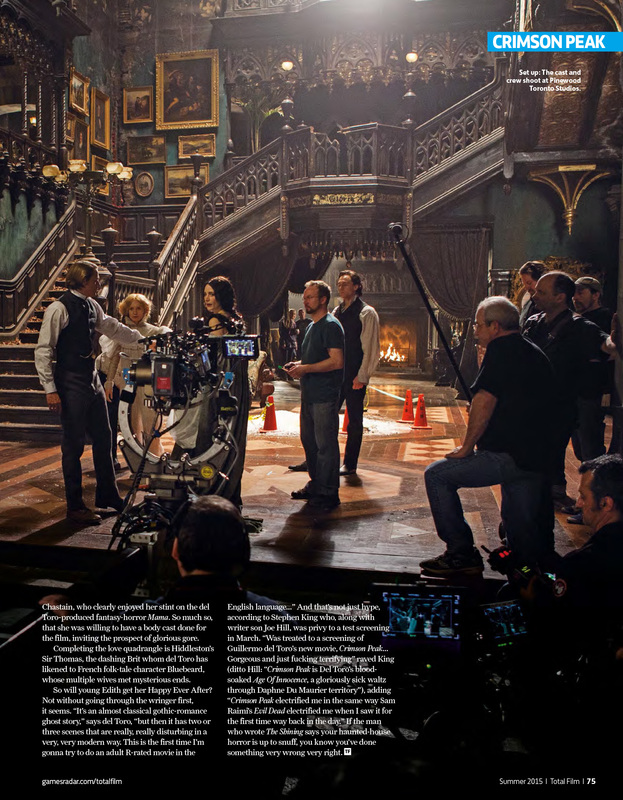 I’ve added captures of Charlie from the special features included on the official DVD of Crimson Peak. You can check those out in the gallery now. 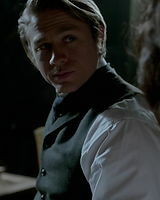 Check out a new still of Charlie as Dr. Alan McMichael from Crimson Peak which hits theaters as of October 16th! Click the photo to view in full resolution in the gallery now. Question: We were in the trailer with Jessica [Chastain] and she shared a little bit of her character’s biography with us, the non-spoiler stuff. 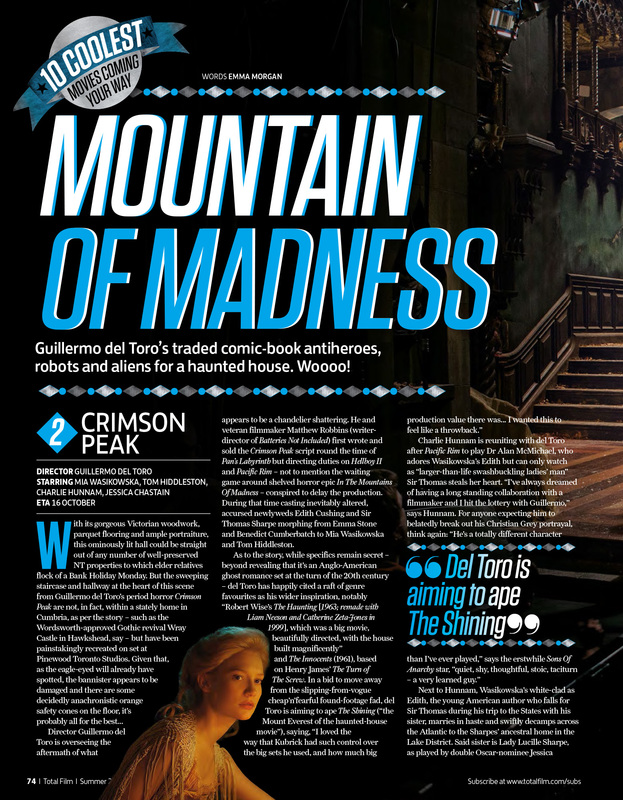 Guillermo [Del Toro] mentioned that you had worked on your biography personally and I was wondering if you could share some things from your character’s bio with us as well. 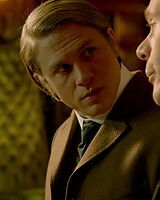 CHARLIE HUNNAM: I don’t know what would be particularly interesting. 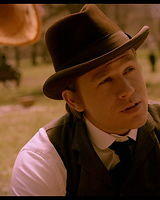 The kind of first step for me of exploring who a character is to just go back in a fun way to get to know a character is to go and imagine his past and I did that in conjunction with doing a lot of reading about the time period and some research as to who was a significant voice of that time. It’s pretty benign stuff just really exploring his childhood and I thought a lot about the relationship that he and Edith had had, and thought back to some similar relationships that I had had and my life with people and like that and inform how I imagined how their relationship had evolved because it’s one of those things that deserves a real closeness between these characters at the beginning of the film, but the nature of their history isn’t really explored. I felt like I needed to know that for myself, and you know I went back and decided which authors that he would’ve been interested in and through those conversations, some of it actually made it to the script. 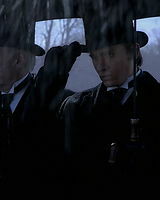 Guillermo and I discussed a lot of his fascination with [Arthur] Conan Doyle and Sherlock Holmes and I felt like the way I saw him, I felt that [Henry David] Thoreau was probably somebody he would’ve been really interested in so I went back and read Walden again, so just fun stuff. Nothing really particularly exciting, just general exploration of a character’s history. Jessica said that she learned to play the piano for this, and in fact she played piano for us. 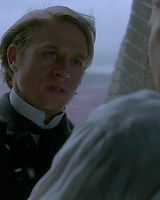 HUNNAM: Did she? What a show-off. [Laughs] Did you bring a piano with you? 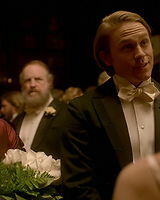 HUNNAM: I did not bring a piano with me [laughs]. Did you add any strings to your bow this time, anything you didn’t know how to do before you started this movie? 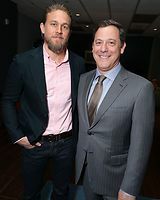 HUNNAM: Not really. I reminded myself how to shave. I explored a little bit of the opthamalogical sciences. I am a doctor who studies in ophthalmology, so I kind of explored the nature of that and I was really more interested in why he would’ve chosen that as a profession. So Guillermo and I discussed a little bit of that and the idea of the eyes being the windows to the soul and in particular that was one of the things that kind of grew out of the bio that I had written for myself that I wanted to be a community man of science rather than in research because Guillermo and I discussed a lot my notion of who my father was in this world and that he was kind of a taciturn removed man who was research orientated and saw that that had not brought him a lot of happiness being removed. I thought that was something very important to me was that he was a guy that was really engaged in helping people and directly involved in the community and working with people and to help them as much as possible. And of course it’s a very exciting time to be in the 1900s for medical innovation and I think he was part of that explosion of ideas. Guillermo said that he offered you a role during Pacific Rim. He said you were the first person here. 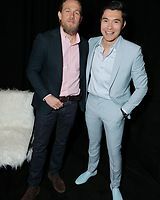 When was making Pacific Rim with you he said that as far as he was concerned you were going to work on every single one of his movies moving forward. 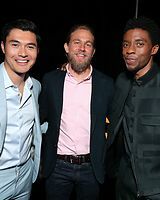 HUNNAM: Yeah, that’s what he told me. It’s very exciting. What was it that clicked? What is it that really works with the two of you? 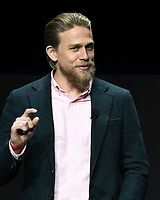 HUNNAM: I don’t know, it’s always difficult to really sum up exactly why a relationship works, but we just like each other and respect each other and we have a lot of fun and make each other laugh and there’s just an ease about our process. I think we just trust each other and feel really comfortable. And I do as I’m told [laughs], I try not to cause him any problems and just help as much as I can and be available. 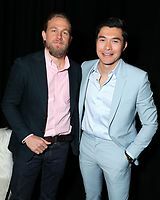 I don’t know, it was a really beautiful thing and such a huge compliment to be invited back to the party, and he said that to me at the end of Pacific Rim. He just took me aside and said that the experience of working with me had been one of the fondest he’d had with working with an actor and that he hoped that we would continue this collaboration and that he was going to put me in all of his English films and that if I wanted to learn Spanish, I could be in the Spanish ones too. And it was just a lovely compliment, and true to his words is when he decided he was going to make this, he called me up and he said ‘let’s do it’. Just to follow up, is there like a shorthand you have? Because he said that for everybody else he had written their bio, you were the only one who could come with your own bio, so is there sort of a shorthand to the relationship and the way that you guys work that you’ve crafted? HUNNAM: I suppose so, but I think that the reason he didn’t write my bio was through the development of the script and things would come and go, with every draft I would write him an email, pal to pal, just a little bit of a commentary, and why I thought things. 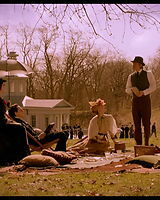 We had been kind of on the same page, and he had been intuiting my line of thought, and I had been probably more accurately intuiting his line of thought with changes that he’d made and then also things that had gone on that I had really missed and explained why. We started discussing this bio that I had written for myself which was always just been part of my process. I’m sure not every actor does that but I’ve always just found that it was very helpful to me. So I think he just thought it wasn’t necessary to write a bio for me because I had already written my own. How far back does that date in your process? 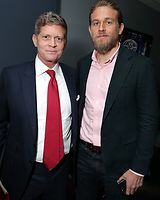 HUNNAM: I think the first time I had done that was probably for Green Street Hooligans, so for the last eight or nine projects I’ve done. Was it something that you had seen other people do and you thought that was a good way in, or was it something else? 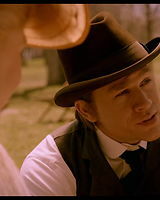 HUNNAM: No, it was something I had developed through writing screenplays. That I needed to know these characters very well to be able to write them naturally. It was kind of an obvious thing to then apply to acting once I’d started doing that. 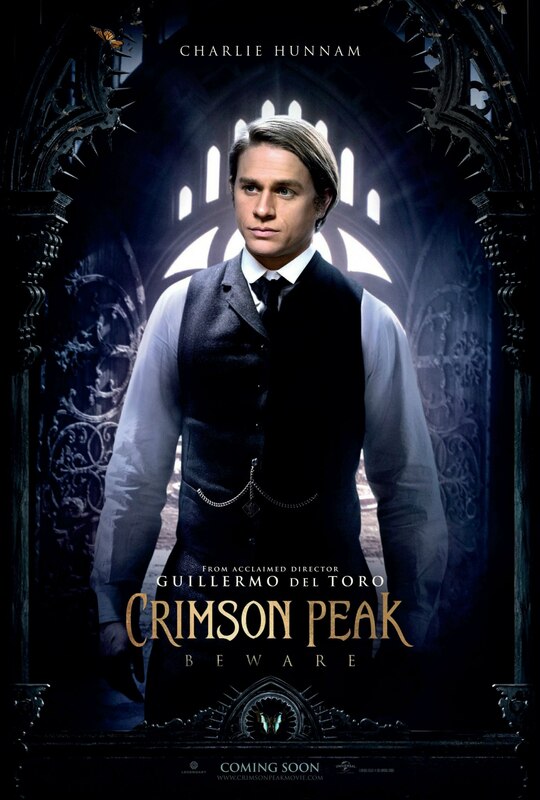 Check out the first character poster for Crimson Peak which hits theaters this October! Check out the high quality scans in the gallery now.